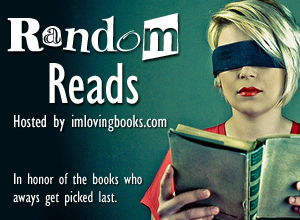 It's time to select my Random Read for April! Last month, my Random Read was John Dies at the End by David Wong. So it's off to the random number generator. I have 666 books on my TBR shelf at the moment, so I enter 1 as the min and 666 as the max, and hit Generate. Haven't heard of it. But will wait to hear what you think. I love this method that you use. This is cute! Yeah, it actually works out well when I think about it, because this is exactly the kind of book that I would normally buy (usually at a used book sale), put on my shelf, and leave it there forever. So even though it's new, it serves the purpose of the challenge quite well!